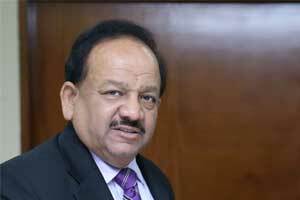 Union Minister for Science and Technology, Harsh Vardhan said increased use of technology in health care should necessarily be accompanied by increased manpower. The combination of scientific, medical and technology community trio should be institutionalised all over the country medical and technology community trio should be institutionalised all over the country for better results, Vardhan said after launching four major projects at the Sree Chitra Tirunal Institute for Medical Sciences and Technology (SCTIMST) in Thiruvananthapuram. The minister said there has to be a mechanism where an engineer goes to a medical college and a technician goes to a scientific lab and a scientist also goes to a clinician’s clinic. “Increased use of technology in health care should necessarily be accompanied by increased manpower to operate and manage the devices and equipment, and to ensure optimal and safe use of technology,” Vardhan said. It is essential to assess, through an evidence-based approach, whether a particular technology can impact disease management, prevention strategies and policy decisions,” he said. Institutions in the public and private sectors and industry should undertake “need-based” Research and Development (R&D) in medical devices and instrumentation. “It should be affordable and based on local need. Necessarily, large-scale production and commercialisation of indigenised medical equipment is required so that citizens even in remote areas get benefited,” the minister said. Earlier, Harsh Vardhan launched the construction of the ‘Swasthya Suraksha Block’ under the Pradhan Mantri Swasthya Suraksha Yojana at the SCTIMST campus.